"Examples of the Brameld Castle of Rochefort pattern are among the most popular, attractive and sought after Rockingham Blue and white transferware pieces. A great display item and increasingly difficult to find in such wonderful condition." Antiques Expert Hamilton Bear. 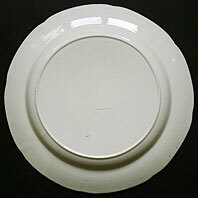 References: This striking plate is consider the best quality pattern produced by Rockingham Brameld in blue and white. 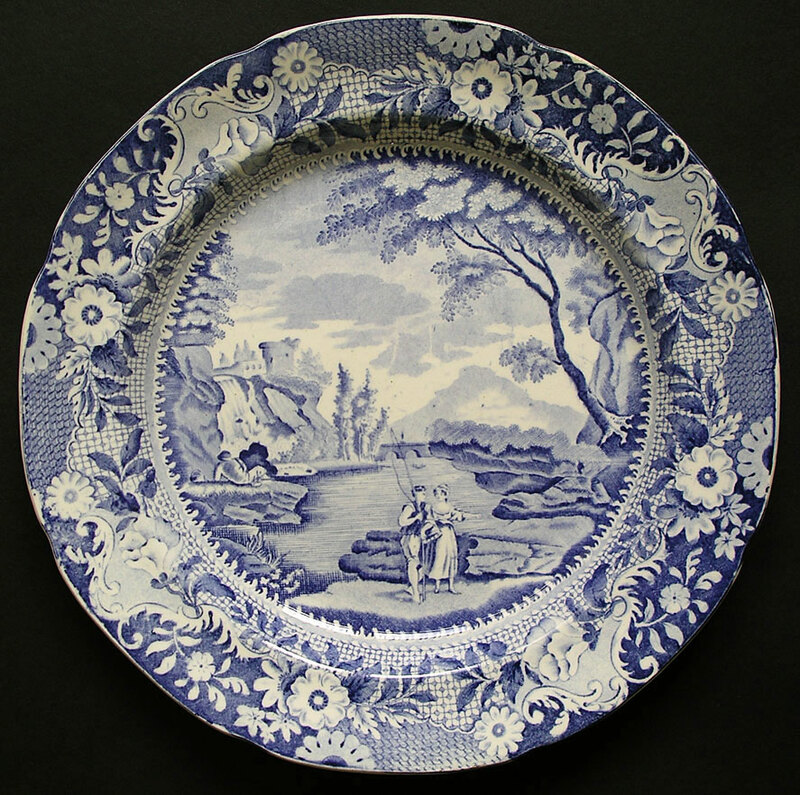 An identical shape dish is illustrated in Blue and White Transfer Ware 1780-1840, A.W. Coysh plate 78 page 61. Rochefort is a French seaport at the mouth of the River Charente in south west France. Dimensions: width 260 mm max. approximately 10 1/4 inches. Marks: impressed Brameld marks as illustrated. Condition: In excellent condition with no damages or restoration. M.O./CHECKS US $ DOLLARS NO BANK FEES OR EXCHANGE CHARGES. PERSONAL CHECKS IN GBP ONLY - MUST CLEAR BEFORE SHIPPING.